Glencoe Baptist Church - Exalting God. Equipping & Encouraging Believers. Evangelizing Unbelievers. We're glad you're interested in the ministry of GBC. 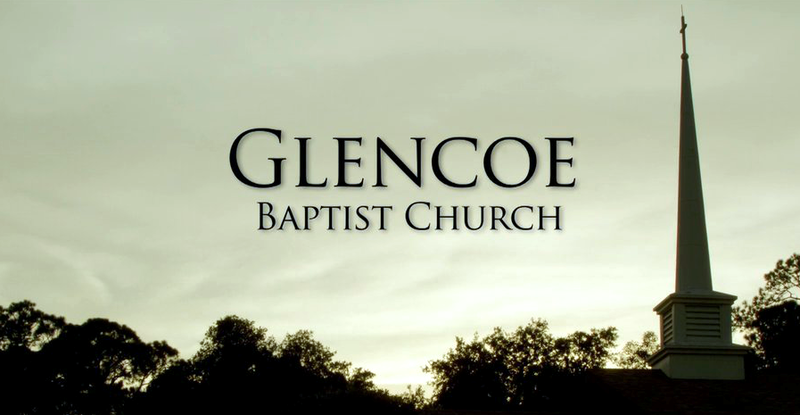 We hope that you'll join us for a worship service and consider becoming part of the Glencoe family. At Glencoe, there are many opportunities to exalt God, study the Bible, and fellowship with other believers. We hope you'll consider getting involved in the ministry at GBC. Have a question? We're happy to help you! Simply contact the staff or leadership of Glencoe. They're prepared to answer your questions.